A 12 Year Old Girl will Marry A Very Old Guy! Marriage is legally considered as a union of a man and a woman as partners in a relationship. The meaning of this varies with different types of culture. Some are compulsory or forced to get married. Arranged marriage is very common in some countries. 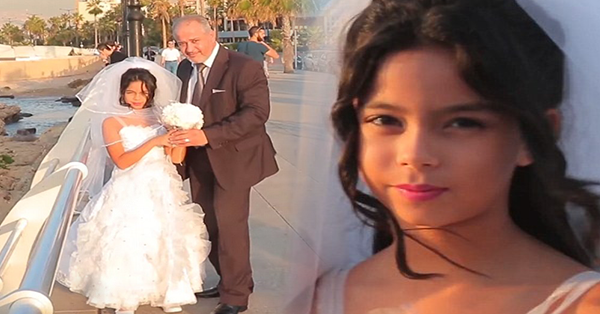 But in Lebanon there is child bride where a little girl was going to marry a very old man. There are different kinds of culture and different kinds of practices when it comes to marriage. But this kind of arranging marriage steals the childhood of some girls.